We have a very cool interview for you fine folks today! Today’s interviewee is a man with a very interesting story that is an amazing journey into the world of entertainment. His name is Jay Jackson, and he is amazing! He began his career as a journalist and news anchor, and essentially that is what he is and what he has mastered so well in a very long and successful career. 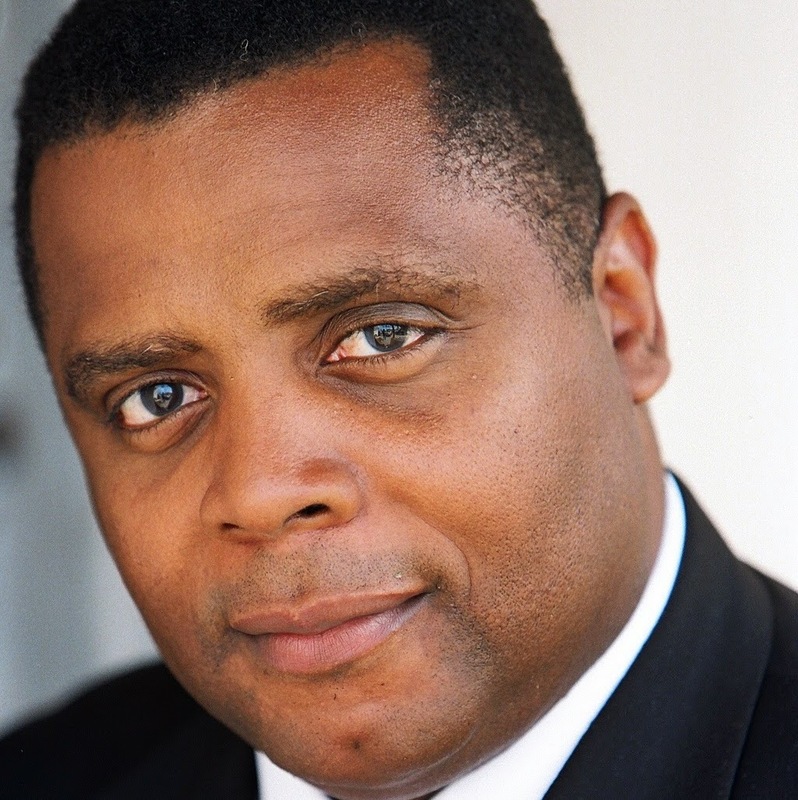 Jay Jackson has appeared on several television shows as a news anchor, but many of you are sure to recognize him as the hilarious Perd Hapley on the wildly popular series Parks and Recreation. And I will say that this is what interested me in talking to this man. But as it tends to happen, I found him to be even more interesting than I could imagine! In fact, in 2015 he had is break out (from the news anchor role) in the amazing film entitled Daddy, in which he was incredible in! So let’s just get into it, shall we? Please enjoy some amazing words from the brilliant journalist, news anchor, musician, and actor Jay Jackson! Enjoy! How did you find yourself in the world of journalism and broadcasting? Was it something you had always aspired to do, or did you just sort of fall into it? It got into my blood in the 70’s when a Milwaukee station hired an African American anchor for the fist time. I remember it being a huge deal to my mother and father and all of their friends. I remember all of the hoopla the city made over it. As a kid you’re thinking, if it makes your mom happy, then that’s what I’m going to do. In college, I majored in Journalism, then started working as a newspaper reporter. I guess you can say I aspired to do it, but not to be a Walter Cronkite. Mainly, to make my Mom and Dad proud. What was the first on screen news story you can remember being assigned to do? Was it a nerve-wracking experience at all? My first on-screen story was about a flood on the outskirts of San Diego. It was a challenge, mainly because I wasn’t aware of how much I didn’t know. From how to write, how to ask questions, to the time it takes to put everything together. Still, the story was a success and the news director at the time saw something in me. It was a big deal because most reporters start in smaller markets. I was fortunate. And how about your debut performance as a “fictional news reporter” in Dexter? Did you find it more difficult to “play” a newscaster rather than being an actual newscaster? How was that experience for you overall? Dexter was my first time ‘acting’ as a reporter. It was really cool because the crew depended on my expertise to help them. They knew me from reporting the news in Los Angeles so there was some built in respect. It wasn’t a difficult experience, just a little more time consuming than I expected. They have to shoot from various angles dozens of times. Getting to say your lines over and over is far different from reporting live, where you get one shot. 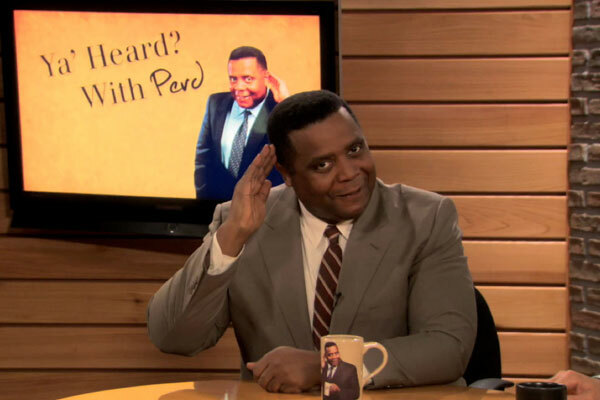 And of course, we have to discuss Perd Hapley, which is quite possibly one of the funniest news anchor roles in television and film history. You were absolutely incredible in it. What was it like to turn your skills as an anchor into a comedic role? How would you rate your entire Parks and Recreation experience? Thank you for the compliment. So much of the credit, though, goes to the writers. They really made Perd the character he was. Honestly, I think anybody could’ve been great doing Perd. That’s how good the writing was. Of course, my anchor/reporter experience was helpful because of the conflicting nature of Perd. Your ear says it sounds like a serious news person, but the words he’s saying are total nonsense. I think that is what thew people about Perd. In 2015 you broke away for the first time from performing as a news anchor when you played a neo-conservative, homophobic preacher in the film Daddy. That is quite the leap! How did it feel to break out of that role for the first time? I did perform in musical theater in high school and had been in several stage plays before acting. So, portraying different characters wasn’t new. But, the most interesting thing is how the fans reacted. Some weren’t even buying it was ‘Jay Jackson’… only referring to the character as ‘Perd’…. even though it was a totally different movie. That can be good and bad. Good because it’s nice to have some level of recognition in Hollywood. But, not so good because that’s all some people will see you as. Either way, I’m grateful, though, to have a career where I can be different people with different agendas. Through some research I learned that you have a company called the Los Angeles Reporters Clinic. Can you tell us a bit about this? What inspired you to develop this company? My company, the Los Angeles Reporters Clinic, is designed to help people break into the broadcast news business. To be a reporter or anchor, you MUST have a demo reel. My company helps future journalists make demo reels by taking them out to real stories in Los Angeles and let them cover the story as if they’re real reporters. It started after an intern offered to pay me to help her, outside of the work hours (when the interns shadowed real reporters in the field). After training the student and completing her reel, I realized there was a market there. 14 years later, still going strong. Out of all the things I do, nothing makes me happier than getting a call from one of my students telling me they landed their first on-air job! I have also learned that you are also an accomplished jazz musician. When did you start to yearn to join the jazz world? What kind of work have you done in this field? I trained in classical piano from the time I was 8 to the time I was 14 years old. But I always wanted to play Jazz. Back then, though, people were still looking down their noses at the music. You were seen as cultured playing classical music – not Jazz. But, as I got older the love for the music became undeniable. It’s like medicine. Live Jazz music is spiritual for me. I perform in small venues around Los Angeles. I love it. I’m not interested in flying around the world doing this music. I like to play, then get into my bed afterwards. What does the future hold for you? Any projects or performances our readers should be looking out for from you in the near future? In Hollywood, the cliche ‘you never know’ means just that ‘you never know’. I’m, fortunately, still making appearances on the ABC show Scandal. Hopefully, I’ll get some film roles. But my priority is getting my comic strip The Baldwin Hillbillies off the ground as an animated series. For your viewers who may not know, Baldwin Hills is like the Black community’s Beverly Hills in Los Angeles. Bacon. I’m answering these questions during breakfast. I’m also a trained chef and just cooked the most perfect thick cut bacon (applewood, of course). I use lemon-pepper and minced dried onion for flavoring. Heaven!